Ubuntu is a free of charge operating system does not require any licensing fees that is perfect for laptops, desktops and servers use. This OS contains all the applications ranging from word processing and email applications, to web server software and programming tools you’ll ever need to be used at home, at school or at work. 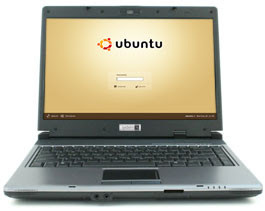 Ubuntu is also designed with security. The file size of this CDs is aproximately 700MB. If you got a fast Internet connection, you can download the latest version of Ubuntu directly. After your download begins you’ll be given additional instructions on how to create and use your Ubuntu CD.